This is important for two reasons. First, the FBI is permitted to search FBI’s own databases to conduct this assessment. That would include information collected via Section 702. 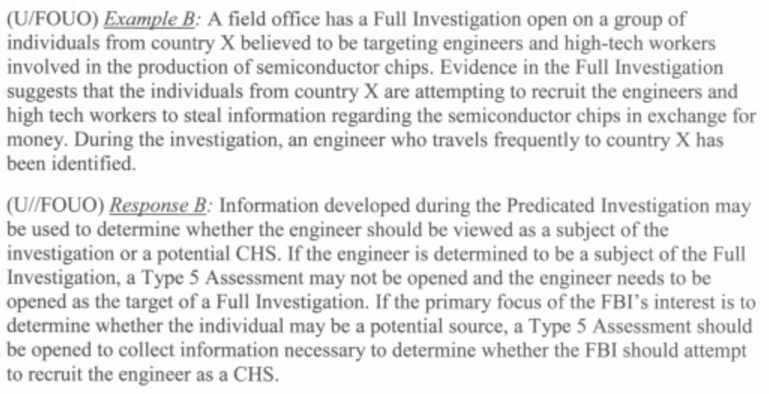 So when people talk about the risks of back door searches, it could mean a completely innocent engineer getting targeted for recruitment as an informant. The other reason this is important is because it is precisely what appears to have happened with Professor Xiaoxing Xi, who was falsely accused of sharing semiconductor technology with China. After Xi and his attorney Peter Zeidenberg explained to the FBI that they had badly misunderstood the technology they were looking at, the case against Xi was dismissed. In fact, Xi claims in a lawsuit against the government that the emails on which was the case was built were improperly searched using Section 702 or EO 12333. On information and belief, both before and after obtaining the FISA orders, defendant Haugen and/or Doe(s) caused the interception of Professor Xi’s communications, including his emails, text messages, and/or phone calls, without obtaining a warrant from any court. In conducting this surveillance, the defendants may have relied on the purported authority of Section 702 of FISA or Executive Order 12333. Although neither Section 702 nor Executive Order 12333 permits the government to “target” Americans directly, the government nonetheless relies on these authorities to obtain without a warrant the communications of Americans who are in contact with individuals abroad, as Professor Xi was with his family and in the course of his scientific and academic work. On information and belief, defendant Haugen and/or defendant Does searched law enforcement databases for communications of Professor Xi that the government had intercepted without a warrant, including his private communications intercepted under Section 702 of FISA and Executive Order 12333, and examined, retained, and/or used such communications. The actions of defendants Haugen and/or Doe(s) in searching law enforcement databases for, examining, retaining, and using Professor Xi’s communications, including his emails, text messages, and/or phone calls, that were obtained without a warrant, and without notice to Professor Xi, violated Professor Xi’s clearly established constitutional rights against unlawful search and seizure and his right to privacy under the Fourth Amendment. Given how closely this scenario matches his own case, I’d say the chances his emails were first identified via a back door search are quite high. Note, too, that Temple University, where he works, has its email provided by Google, meaning these emails might be available on via PRISM. So they will recruit professors like Professor Xi as informants — they would just require special approval to do so. For something else, just a coincidence Hutchins was just arrested. Just add the back door parallel reconstruction to the tool box. Guess the no fly list was not the only threat the FBI ever used on US muslims, ( Boston bombers and friends, Tunisians etc) with overseas ties. OT: Did CF really kick DS to curb? and the gab app kicked from google play. Someone needs to give them a horne to sit in, becauze the metadata. 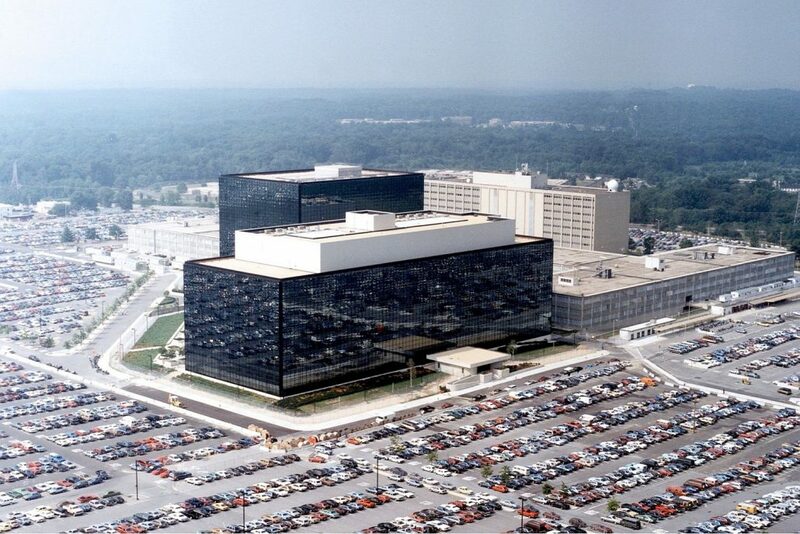 NSA, CIA, FBI, one of you needs to show your worth, Host them, get the metadata!